Elegant yet simple, the Braga is one of the more versatile sports bottles available. Perfect for a branded business logo, it is easy to see why this is a fan-favorited. 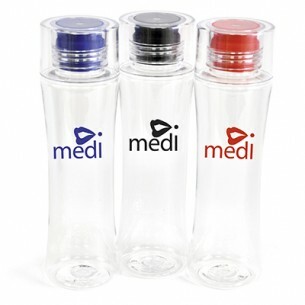 Made out of premium Tritan plastic, this bottle is built to resist wear and last all season long. Coming in multiple different colours, picking your personal favorited has never been easier. And to make things even better, with this bottle you can easily carry up to 500ml of the beverage of your choice wherever you go. With the Braga, you can stay hydrated while still looking stylish.